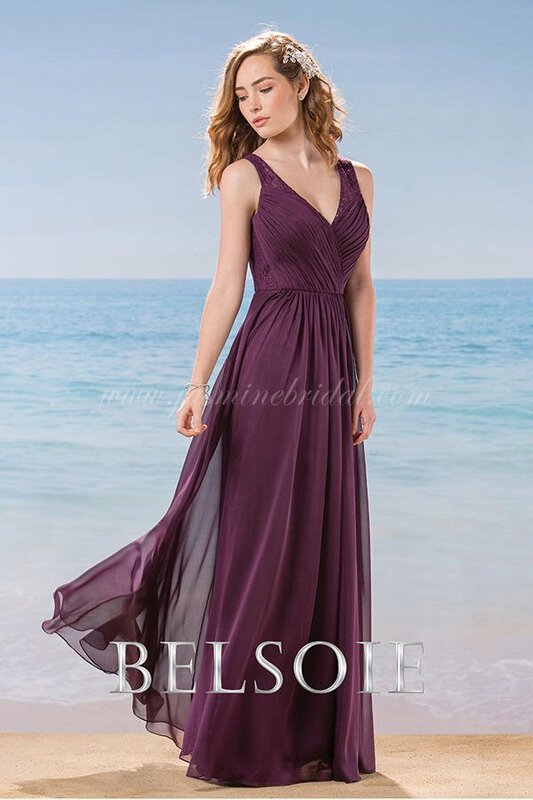 The featured color in this style is Bordeaux. The Skirt is Floor length also Available in tea(30") or knee(25") length. The fabric in this style is Belsoie Tiffany Chiffon/Laceor Options" below to view this style on the Jasmine website in all available colors.